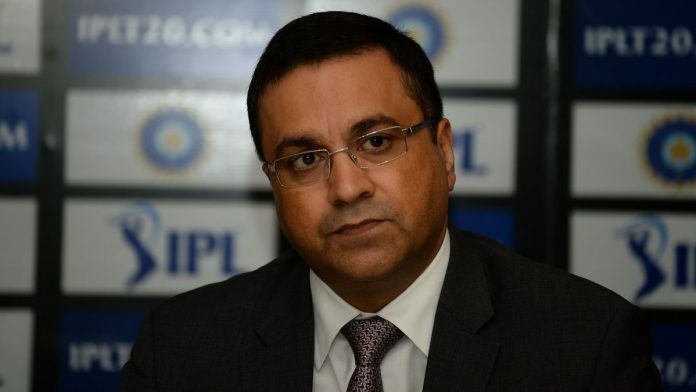 Mumbai: The Supreme Court-appointed panel heading the Board of Control for Cricket in India (BCCI) is on the back foot because of allegations of sexual misconduct against CEO Rahul Johri. The Committee of Administrators (COA) is under mounting pressure to address the allegations by a woman who worked with Johri at his previous job at Discovery. Johri joined the BCCI as CEO in April 2016. The CoA, headed by former Comptroller and Auditor General Vinod Rai, is also battling criticism for allegedly hushing up another complaint of sexual harassment against Johri — this time by one of BCCI’s own employees. A source close to the development told ThePrint that the CoA had allegedly conceded to the BCCI employee’s demand that Johri give her a written apology for his behaviour, but had also insisted on a note stating that there was no instance of sexual harassment. The source, a senior BCCI functionary who is known to the complainant, said Johri did not physically molest her, but his manner of speaking to the employee and his overall interaction with her had a sexually suggestive manner. “She said he (Johri) did not touch me, but when I asked her if there were sexual overtones in the manner in which he spoke, she said, very much. She said if she had even given so much as a finger to him, it could have gone to the next level,” the source told ThePrint. The complainant was unavailable for a comment. Members of the CAG — Rai and former India women’s cricket captain Diana Edulji — did not respond to several calls and text messages from ThePrint seeking comment. Author and poet Harnidh Kaur named Johri in a Twitter post, sharing screenshots of the victim’s detailed account. The victim, who has chosen to remain anonymous, described Johri as an ex-colleague and narrated how he took her to his house while discussing a potential job offer and molested her, saying this was the final part of her interview. Johri has been on leave since then and was even forced to pull out of an International Cricket Council’s Chief Executives Committee meeting in Singapore. A BCCI functionary said Johri handed over his response to the allegations in a single hard copy submitted directly to Rai Monday. This first allegation brought to light the other incident — of the BCCI employee resigning due to alleged harassment by Johri in February this year. The CoA cajoled her into rejoining in a new role, changed her reporting manager, and even gave her a hearing, but did not take any credible action against the CEO. “Rai and Edulji met the employee and her husband at Mumbai’s Trident Hotel and convinced her to come back, saying they will change her reporting manager. I heard that there was also a mediation later, where Johri was present. The complainant blasted Johri who cried profusely,” a BCCI source said. Did CoA follow due process? Last month, Aditya Verma, secretary of the Cricket Association of Bihar, wrote twice to Rai, accusing him of covering up a sexual harassment case in the BCCI and threatening to go to the Supreme Court if the BCCI did not take action. Neeraj Kumar, the BCCI’s former Anti-Corruption and Security Unit chief, told DNA newspaper last month that he was aware of the sexual harassment complaint and it was deliberately brushed under the carpet to avoid negative publicity ahead of the Indian Premier League. Kumar added that the board did not follow guidelines laid down by law to deal with sexual harassment in work places. The BCCI formed an internal complaints committee to deal with sexual harassment cases only in April 2018, while the BCCI employee’s complaint against Johri and resignation happened in February. Meanwhile, social media messages are being circulated among women in senior positions in the media industry in an attempt to drum up support for Johri, asking them to fill their names in a template. The template states that Johri “demonstrated sound moral and ethical principles at work”, how he was always respectful and “never made any attempt to invade or violate my personal space” and “treated all the women working in the organisation with utmost respect and dignity”.